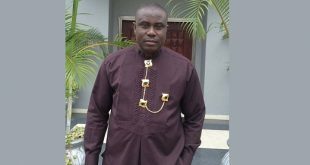 President of the Sports Writers Association of Nigeria (SWAN), Honour Sirawoo, on Tuesday advised sports administrators in the country to see sports journalists as critical stakeholders in sports development rather than as adversaries. Sirawoo in a press statement signed by the Secretary General of the Association, Olawale Alabi, said, “Nigeria’s march to greatness in sports cannot be achieved without the input of sports writers”. The SWAN President said sports writers were ready to operate strictly within the rules of engagement and ensure balanced reportage and constructiveness instead of painting a picture of confrontation. It reads, “Our major responsibility is sports promotion and not vendetta using our privileged positions. “Our task is sacred and demands high sense of responsibility,” the SWAN President further stated. The statement added that, one of SWAN’s challenges was to regain the confidence of the people. The SWAN President commended the Youth and Sports Minister, Solomon Dalung, as well as the Sports Federations and other critical stakeholders, for identifying with the mission of the new SWAN Executive Committee which was anchored on professionalism and restoration of the dignity of the association towards quality service delivery.